This holiday season, get on Mother Earth's nice list. At Lightfoot Market's free two-day pop-up, you'll find eco-friendly and socially responsible gifts for everyone on your list. This holiday season, find gifts that align with your values. At Lightfoot Market's free two-day pop-up you'll find thoughtfully curated eco-friendly and socially responsible gifts for everyone on your holiday shopping list. Pick from 60+ brands that care about impact as much as you do. 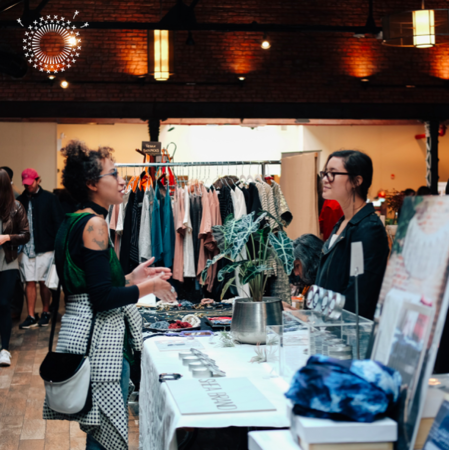 Shops will display innovative and sustainably made apparel, home goods, accessories, bath and body products, art, outdoor gear, food, children's accessories and toys, and more. We find the best sustainable brands and clearly label their values, so you can pick out gifts for friends and family with the quality, design, and purposeful mission you care about. Join us at Lightfoot Market in Chelsea, New York City on: Saturday, December 9, 2017 12pm - 7pm, and Sunday, December 10, 2017 11am - 6pm.